“Kankrej breed cow and bull are intrinsic part of Indian agriculture. The dung and urine of this breed are sufficient for cultivating any crop as it is extremely rich in all required nutrients. 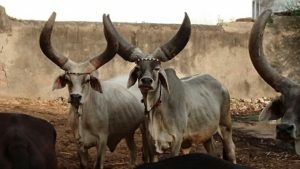 All native Indian breeds are unique for some special feature and Kankrej is ideal for farming. In addition, the milk obtained is A2 milk tremendously nutritious for the mankind. 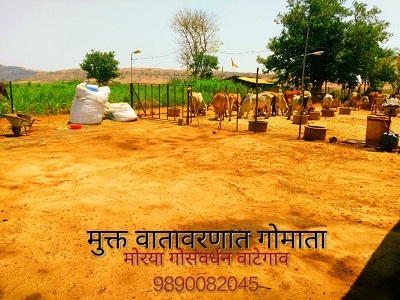 The bull ploughs the field in the most productive manner,” asserts Mr. Pratik Umesh Bhide,28, Founder, Morya Gausarvardhan. While studying ‘ved shastra’ 12 years back in Kerala state he understood the importance and value of Indian desi breed cattle. 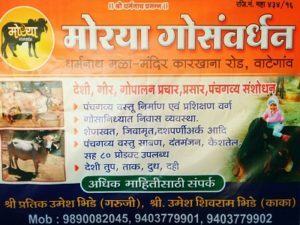 Therefore after returning home at Wategaon, Sangli district, Maharashtra he started rearing various desi cows with the support of his family. However presently he is having Gir and Kankrej breeds in his farm. Being a student of ‘ved shastra’ and ‘nadi vigyan’ he also develops ayurvedic medicines from dung and urine his farm cows and bulls. All the products are sold under the brand name Morya Gausarvardhan. They also provide practical training on dairy management of desi Indian cattle. 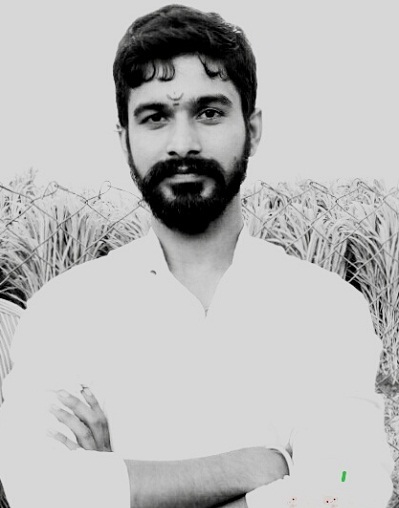 “I strongly believe in the message of Lord Krishna, ‘Humans need cows more than cows need humans. Cows need to be protected for humans to survive.’ Moving further I have devoted my entire life to assist farmers of India to rear indigenous cows and bulls. Indian desi cattle are not only religious icon yet holds enormous power to secure life for all living organisms. No one should restrict themselves to rear and breed cows only for selling its milk instead they can also flourish by using its dung and urine in an appropriate manner,” he highlights. 12 years back in Sangli district majority of farmers used to have only hybrid dairy animals. However, now with the efforts of Bhide family many farmers have switched to rearing desi Indian breeds. “We bring Gir and Kankrej cows from Gujarat and give to the dairy farmers at ‘no profit no loss’ price. Later to improve their livelihood we buy the milk of these cows and make pure cow ghee. We also buy its dung and urine for making different kind of manures and bio-solutions used in farming as well as ayurvedic medicines for human beings for different physical ailments,” he shares. The height of bull from its horn till feet varies between 6.0-7.0 feet. The hump is 4-7 inches high. Its life span is 18-20 years. Cow could be 5.5-6.5 feet in height. The hump is 3-6 inches high. It lives for 18-20 years. It is physically sturdy and strong animal. It rarely falls sick and resistant to infections. It is fond of clean environment in its shed and very fond of sunlight. “It will not sit at the dirty place. More the sun the better it is for Kankrej cattle. Exposure to sunlight improves the quality of its’ milk and effective for the overall well being,” he avers. Usually after 3 years cow conceives and gives milk. On an average each cow yields 7 liter/day. Every cow delivers calf 14-16 times in its life span. Cow with remarkable characteristics and features is priced between Rs.70 thousand to Rs. 1 lakh and a good quality bull cost around Rs. 1-1.25 lakh. There are few cows that yield 10-12 liter milk/day, such cows are priced between Rs. 1-1.25 lakh. “Farmer should ensure if the pregnant cows are purchased then it should be less than six months else if the travel is uncomfortable then it could lead to miscarriage. Alternatively if the cow is brought immediately after delivery then it takes very long to adjust in new environment. So it is essential to be extremely careful in selecting the adult cow based on its health conditions and care during the transit,” he adds. Kankrej is a native breed cow so ideally it must be fed only with naturally grown fodder. “We only use cow based manure for growing all the fodder and forage for our cows. It is all 100% natural. This is also one the reason it is resistant to diseases and infections. We even do not vaccinate our herd because we fed them with medicinal herbs on a daily basis. These herbs give a protective cover internally from diseases,” highlights Mr. Bhide. Herbs fed are shatavari, ashwagandha, lasun ghas and azolla. Per month in total half kg/animal of these four herbs are fed to all cows and bulls. Every cow and bull has its own feeding vessel. On an average cow is give 15 kg fodder in morning and another 15 kg in evening. While for bulls it is 20 kg both the times. Clean water is filled in 1500 liter capacity tank every day. During monsoon and winters water intake is less than 5-6 liter/day while in summer it increases to 15-20 liter/day. During winters there is enormous green grass on mountain ranges so we send the herd for grazing. “It is imperative for dairy cattle to graze as it is their natural habit. It allows them to be more relaxed and it enjoys searching and eating its own food,” he states. “We allow all the animals to roam freely in the cowshed from morning till evening. Later to which it is tied for safety and security reasons,” informs Mr. Bhide. Post pregnancy the calf is allowed to have its mother’s milk. “Amongst the four teats, one teat is exclusively for the calf. We do not disturb it all!” It is compulsory to milk the cow manually as desi cow is extremely uncomfortable with milk vending machines. Preferably same person should milk the cow every day as far as possible. In future Mr. Bhide wants to revive Malnad Gidda pure breed cattle. “Farmers are no more interested to rear this breed cow because it gives only 2-3 liter milk! It is endangered desi breed of India. If it is found in our country from ancient times it surely would be distinctive in some way but its’ specialty is unknown. I want to work on this breed before it gets extinct, find its distinguishing features and spread awareness on it amongst the dairy farmers. Next soon we will be adding 10 more kankrej breed cows and one bull in our farm. Rest I am confident soon dairy farmers across the country will rear desi cows and only A2 milk will be produced in Bharat safeguarding health of our people!” he signs off.